Risk for suicide attempts and violent offending by children appears to be associated with their parents' psychiatric disorders, according to an article published online by JAMA Psychiatry. Study finds dramatic increase in nonmedical use of prescription opioids in the U.S.
Nonmedical use of prescription opioids more than doubled among adults in the United States from 2001-2002 to 2012-2013, based on a study from the National Institute on Alcohol Abuse and Alcoholism, part of the National Institutes of Health. Nearly 10 million Americans, or 4.1 percent of the adult population, used opioid medications in 2012-2013 a class of drugs that includes OxyContin and Vicodin, without a prescription or not as prescribed (in greater amounts, more often, or longer than prescribed) in the past year. We all vary in how often we become happy, sad or angry, and also in how strongly these emotions are expressed. This variability is a part of our personality and can be seen as a positive aspect that increases diversity in society. However, there are people that find it so difficult to regulate their emotions that it has a serious impact on their work, family and social life. These individuals may be given an emotional instability diagnosis such as borderline personality disorder or antisocial personality disorder. Psychopathic violent offenders have abnormalities in the parts of the brain related to learning from punishment, according to an MRI study led by Sheilagh Hodgins and Nigel Blackwood. "One in five violent offenders is a psychopath. Adolescents with antisocial personality disorder inflict serious physical and psychological harm on both themselves and others. However, little is yet known about the underlying neural processes. People with schizophrenia who threaten or attempt suicide have a propensity towards violence, UK researchers believe. Young men who are gang members suffer unprecedented levels of psychiatric illness, placing a heavy burden on mental health services, according to new research led by Queen Mary, University of London. The first large, population-based study to follow children with attention-deficit hyperactivity disorder (ADHD) into adulthood shows that ADHD often doesn't "go away," and that children with ADHD are more likely to have other psychiatric disorders as adults. Although numbers were small, they also appear more likely to commit suicide and are often incarcerated as adults. A new study shows that children who are exposed to bullying during childhood are at increased risk of psychiatric disorders in adulthood, regardless of whether they are victims or perpetrators. News outlets anticipate the release of rules regarding the types of mental health care insurers must provide under the federal health care law, as well as the payment fallout from new treatment codes. Cannabis use disorder is associated with a more severe illness course among patients with bipolar disorder, researchers report. 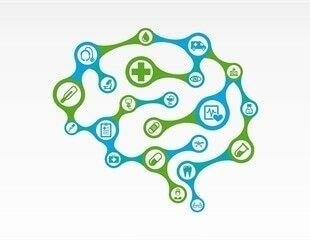 A new study conducted by researchers at the Child Study Center at NYU Langone Medical Center found men diagnosed as children with attention-deficit/hyperactivity disorder (ADHD) had significantly worse educational, occupational, economic and social outcomes in a 33-year follow-up study compared to men who were not diagnosed. Childhood psychosocial deprivation is associated with significantly reduced thalamic volume among violent individuals with antisocial personality disorder or schizophrenia, researchers report. With no lab tests to guide the clinician, psychiatric diagnostics is challenging and controversial. Antisocial personality disorder is defined as "a pervasive pattern of disregard for, and violation of, the rights of others that begins in childhood or early adolescence and continues into adulthood," according to the fourth edition of the Diagnostic and Statistical Manual of Mental Disorders (DSM-IV) of the American Psychiatric Association. MDMA or 'ecstasy' increases feelings of empathy and social connection. These 'empathogenic' effects suggest that MDMA might be useful to enhance the psychotherapy of people who struggle to feel connected to others, as may occur in association with autism, schizophrenia, or antisocial personality disorder. Psychopaths are known to be characterized by callousness, diminished capacity for remorse, and lack of empathy. However, the exact cause of these personality traits is an area of scientific debate. The results of a new study, reported in the May 2010 issue of Elsevier's Cortex, show striking similarities between the mental impairments observed in psychopaths and those seen in patients with frontal lobe damage.